We have all heard the expression "what a difference a day makes." In Connecticut we are well aware of this with our ever-changing weather. Well! What a difference a year has made in our Membership Contests. The past two years we asked the Granges to simply send us the information for these contests. This year we made a simple form and asked that they be returned with the June Quarterly Report or sent directly to me. Last year we received reports from 7 Community Grange, 1 Pomona and 1 Junior Grange. With just a "little effort" making out the report form this year we received 47 Community Granges, 9 of the 10 Pomona Granges and 1 Junior Report. The winners are included at the end of this release. This same "little effort" could be used in getting new members. Don't wait for people to come to you and ask to join the Grange - approach them. 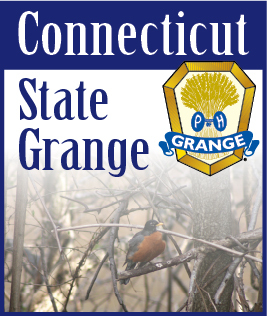 Explain in a positive manner the benefits of the Grange and how much you enjoy being a member. You may be pleasantly surprised. So many times we hear we have never been asked to join - so do the asking.